Torn from an idyllic life with a loving, extended family in 1960’s Alabama, young Johnny Turnipseed found himself in Minneapolis, Minnesota with a father he no longer recognized – and empty cupboards. A.C. Turnipseed’s alcoholism and womanizing started a chain reaction of poverty, violence, addiction and despair that nearly destroyed three generations. From lost and frightened little boy – to gang leader, drug dealer and pimp – to one of the nation’s most respected pioneers of community restoration, John Turnipseed’s story of transformation and restoration is told with unflinching honesty – and contagious hope. 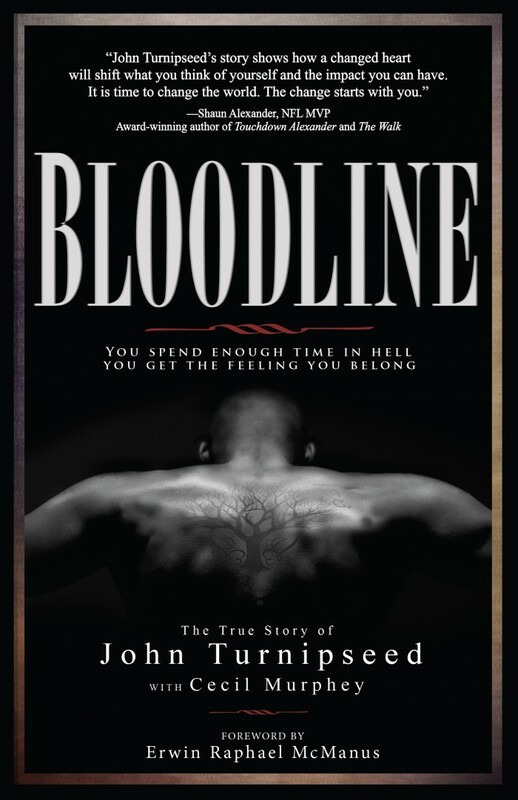 John Turnipseed is a former gang leader, pimp and drug dealer, who spent his childhood battling demons brought on by a volatile, abusive father. In a 20-year journey, John Turnipseed has transformed into a community leader, pastor, speaker, and serves as the Director of The Center for Fathering and Vice President of Urban Ventures, a 21-year-old non-profit set in the heart of the same Minneapolis gang territory that John and his family terrorized. John’s life-changing turnaround fueled his passion for rebuilding relationships between fathers and their families. John and the Center for Fathering team have now developed programs that reach over 600 men and 200 women a year. His story powerfully demonstrates how faith, hope, and forgiveness backed up by persevering mentors and role models are essential for real and relevant transformation. It also encourages us all to never give up on people. John’s “redemption” and work at The Center for Fathering are highlighted in a Fox News update by the same investigative reporter who once helped police capture him. John’s story was selected as the first “Everyday Hero” segment by Twin City Television and was nominated by Amicus, a mentoring program for prisoners. John’s life is highlighted in the film Turnipseed (www.turnipseedfilm.com) which is used in classes at the American University through the Department of Justice. Copyright © 2015 BroadStreet Publishing Group, LLC All Rights Reserved.